After my post about importing Zoho CRM data into AdWords, I received a lot of comments about doing something similar for Salesforce. I finally had some time to build a simple class that allows you to query data and objects from your Salesforce instance and use it in your scripts. 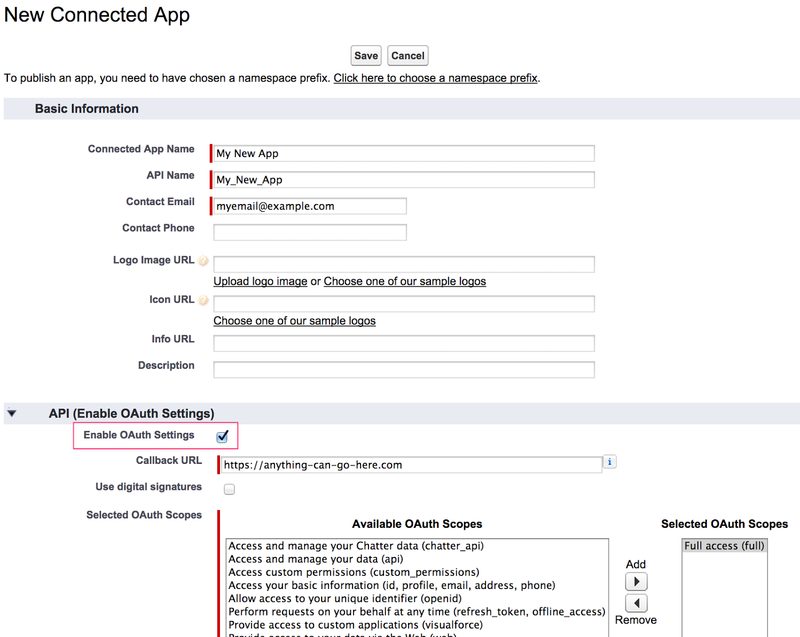 First, we will need to set you up with some OAuth credentials, and for that, you need to set up a new connected app in Salesforce. It is in slightly different places in each version, but using the developer version, I was able to find it under Setup > Build > Create > Apps. From there, all the way at the bottom, you can see a section for Connected Apps. If for some reason you can't find it in your Salesforce instance, your admin may not have given you access to it. Hopefully, they can help you. After clicking the new button, you will need to fill out a few required fields and then select the option to "Enable Oauth Settings." You will need to enter a callback url but we won't be using it so you can enter any url that starts with https. For "Scopes", I just said "Full Access" but you may have to talk to your Salesforce Admin about that one. We will only be reading from Salesforce so it shouldn't be an issue. That's all you need to fill out and you should have a new app created. The important thing here is the "Consumer Key" and the "Consumer Secret" that you will need for the script to connect to your Salesforce instance. 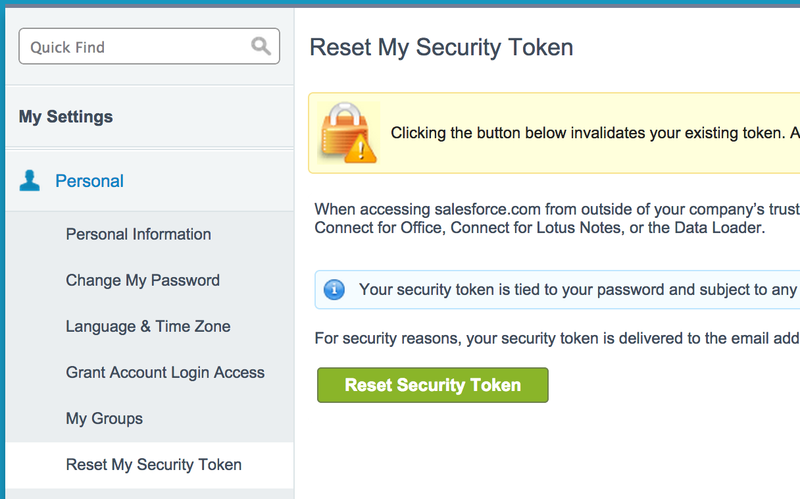 The last thing you will need from your Salesforce instance is a security token. You may already have one in which case, you can skip this. But if not, you can reset it under My Settings > Personal > Reset my Security Token. It will email you a new token. Ok, now we are finally ready to get to the AdWords Scripts code. The following code will set up a new SalesforceAPI object and query the most recent Opportunities that were Close Won so that you can use that revenue in your AdWords account. It's that simple. If you want to get all the information about a particular object after you query for it, you can use the function getObjectByUrl() and send it the url from the query results. To learn more about the query syntax, check out the Salesforce SOQL documentation. There are a few caveats for this code. Every Salesforce installation is unique so there really is no way for me to really troubleshoot issues with your specific install. This code was tested on a fresh Salesforce for Developers account so your results may vary. You will probably have more luck contacting your Salesforce Admin than leaving a comment here. Also, you may notice that the code it using the least secure option to log into Salesforce. This code with your username and password will be accessible to all users of your AdWords account, so be careful. 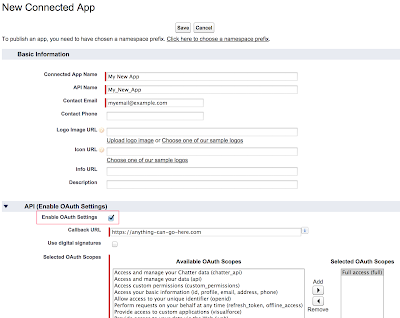 It might be better to create a special Salesforce user with very limited permissions for something like this. If you think this is useful, come let me know at SMX East this week.